As you know, Gold loan is becoming more popular among Indians, whether it is for personal consumption or business needs, any such urgent unforeseen expenses can be managed with Gold loans. The main attractions are the lowest interest rates, zero hidden costs, minimal documentation and no processing time. Gold loan eligibility is evaluated based on the gold value. The banks are not worried about your credit history nor your financial position. Also the interest rate is calculated based on the percentage of market value of gold you are availing the loan. If you are going for say 90% of the market value, the interest will be on the higher side. The interest rate varies from 11 to 24 based on this figure. Still its cheaper than personal loan. Just visit your nearest bank with your gold jewellery, after valuation of the jewel, the loan will be granted to you, normally within 1 hour. Overdraft facility against pledge of Gold ornaments, operated as a running account with facility of cheque book. Loans are granted for 6/12 months and can be further renewed. Any personal or household purpose. 4.25% above Base Rate Floating, currently 14.25% p.a. 4.75% above Base Rate Floating, currently 14.75% p.a. You may get up to 1 Crore cash from Manappuram Finance against Gold. There interest rate starts from 12% per year. Manappuram gives maximum Rs. 2,100 per gram of Gold and it takes generally 15-20 minutes for loan approval. No processing fee. Muthoot Finance, India’s largest gold loan company is the first choice of Indians who want to make their dream a reality. May the dream be to start their own business or to buy their own home, for over 124 years Muthoot Finance has helped almost every Indian’s dream come true. Trusted by over 70000 customers everyday, Muthoot Finance Gold Loan has services and products that fit the need of any customer, making it the quickest, most convenient and safest way to take a gold loan. Evaluation of gold ornaments takes place in house. You can avail up to Rs.25 lakhs from KSFE where the interest is charged for the actual number of days for which the gold is pledged. Current interest rate is 12% per annum to a loan upto and including Rs 10,000. Interest rate for loans above Rs 10,000 is 14% per annum. Security: Pledge of Gold Jewellery. Rate: Per gram Rs.2000/- on 24 carrat basis for loans with repayment period of 12 months, Rs.1900/- per gram [24 carrat basis] for loans above 12 months repayment period. No processing charges for loans up to Rs.2.00 lakh. Repayment: Demand Loan/Maximum 24 months. For HALLMARKED GOLD - Special Rate - Rs 1800/ per gram Interest rate - 13.50% p.a. A unique Overdraft facility against pledge of Gold Ornaments at an interest rate of 14% p.a. Finance upto Rs 1800 per gram. Interest rate - 12.50% p.a. Disclaimer: The information provided here are collected from various sources, visit the respective bank for the latest interest rates and terms and conditions. This is a nice comparison. What is the current situation. Which is the top three best options for a gold loan in terms of interest rates? 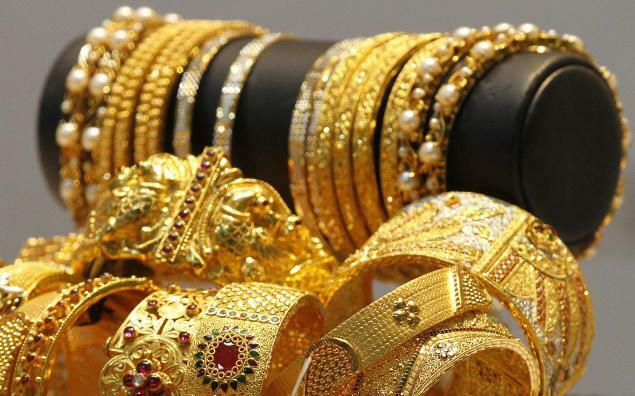 Loan against gold is the best way to finance your urgent needs. Through this deal a person can acquire quick cash and overcome the financial crunch. A person who possess gold and needs large cash can avail Loan Against Gold . Gold Loan is the best deal to draw cash in urgent needs. One can avail gold loan online to save time and effort. One has to compare interest rates of various banks and then select the suitable offer. Manappuram Gold Loan plans are much flexible as it provides finance at cheapest interest rate. You get higher returns of interest in gold loan. As in gold collateral loans you get your gold deposited and in return you get higher pay. Wow!!! Nice topic. I have liked your topic about the gold loan and personal loan. I am sure that it will be a good solution to them who are confused abut the gold and personal loan.